Antartica - Environment - Where in Our World? 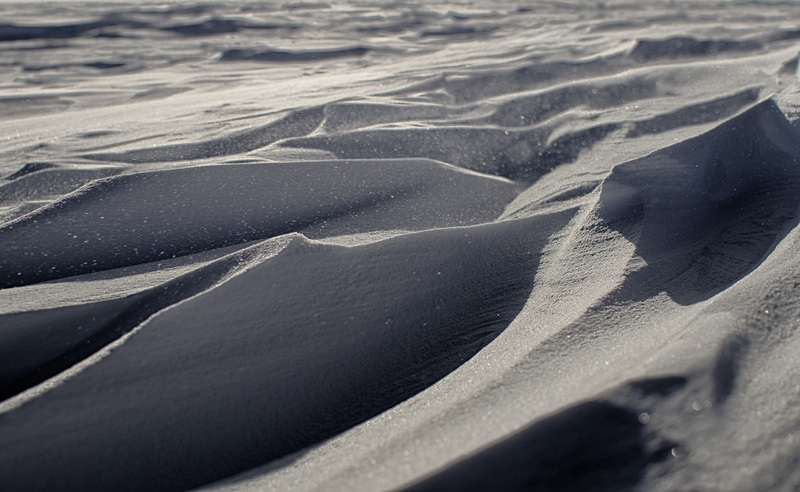 Antarctica is the highest, driest, windiest, coldest continent in the world. Even in the summertime the temperatures can be as low as -20˚C. Blizzards can last for days. The land is covered with ice that can be up to 5km deep in places. No trees or shrubs live there. Only very small mosses and lichens can grow there because of the harsh conditions. 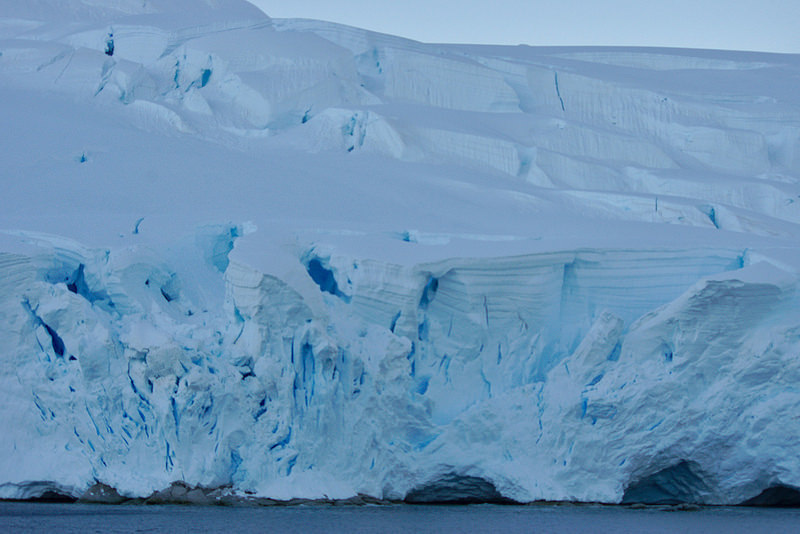 However, there are lots of interesting things to see in Antarctica: glaciers, ice floes, icebergs and mountains. 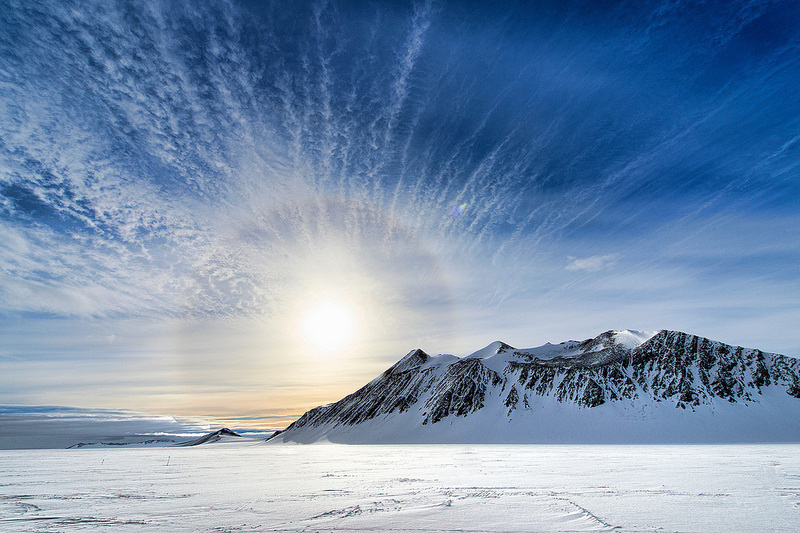 Mountain Vinson is the highest mountain in Antarctica. There are icebergs floating in the seas around Antarctica. 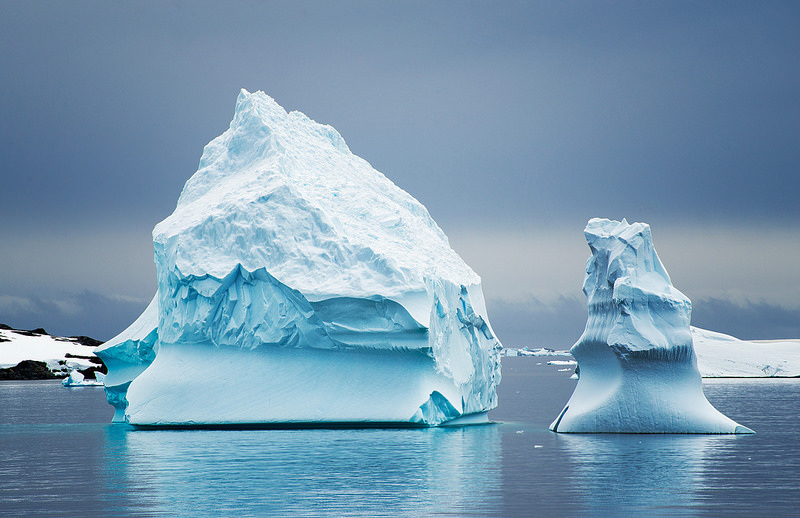 The majority of the icebergs are hidden under water and so it is very difficult for ships to navigate safely. A glacier is made up of snow that has fallen and stayed in the one spot for years and years and is eventually compressed into thick ice. Glaciers move like very slow rivers. Crevasses are cracks in the ice. They are very dangerous as they are often covered with a layer of snow and can be difficult to see. Ice floes are sheets of floating ice. They can be very dangerous for ships because the ships can get trapped in them.